BROOKLYN, N.Y. (Legal Newsline) – A New York woman is suing Uber after the company allegedly placed pre-recorded robo-calls to her and other New Yorkers. Elvira Gonzalez, individually and for all others similarly situated, filed a class action lawsuit Nov. 30 in the U.S. District Court for the Eastern District of New York against Uber Technologies, alleging violations of the federal Telephone Consumer Protection Act (TCPA) and New York's anti-robocalling statute. During July, the suit states, Uber placed hundreds of thousands of pre-recorded robo-calls to the home and mobile phone numbers of New Yorkers, including Gonzalez. 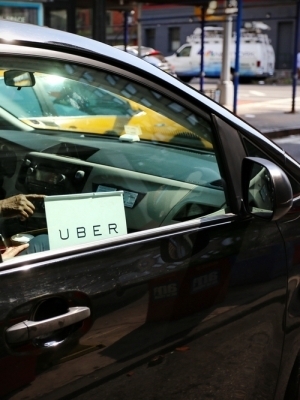 The suit states these calls play recorded messages advertising Uber's services and urging call recipients to oppose city council initiative to limit Uber's growth in New York City. According to the suit, Uber has been sued on at least two other occasions for indiscriminate mass communication campaigns. Gonzalez and others in the class seek an order enjoining Uber from placing telephone calls in violation of the TCPA and the New York statute. They also seek statutory damages under the TCPA of $500 per violation, trebling for a total of $1,500 per violation, and in total not less than $500 million; statutory damages under the New York statute of $50 per violation, and increasing such award to $1,000 per violation, and in total not less than $500 million; and attorney fees and costs of the action. The plaintiffs are represented by attorneys Andrea Bierstein and Mitchell Breit of Simmons Hanly Conroy in New York City, and by attorney Martin Fleisher (of counsel) in New York City.